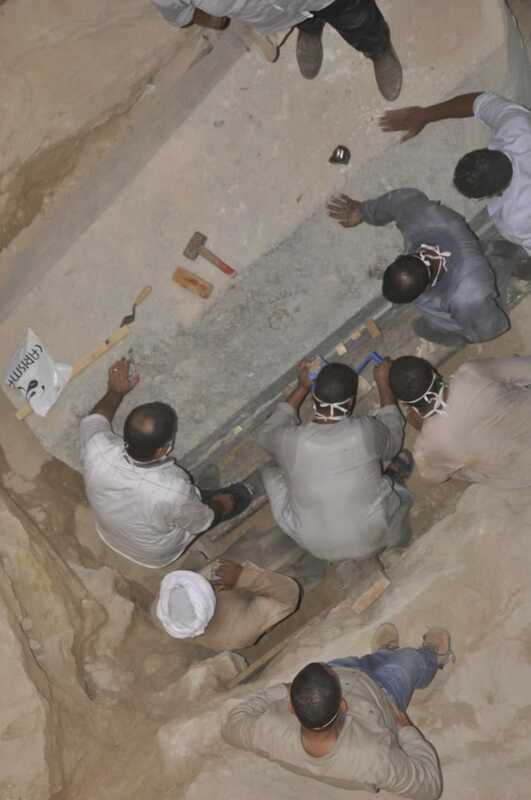 A black granite sarcophagus that was discovered earlier this month in Alexandria has been opened in a ceremony attended by Secretary-General of the Supreme Council of Antiquities Mostafa Waziri. Waziri confirmed to Ahram Online that the sarcophagus does not belong to Alexander the Great (356 – 323 BC) as had been speculated by some on social media. 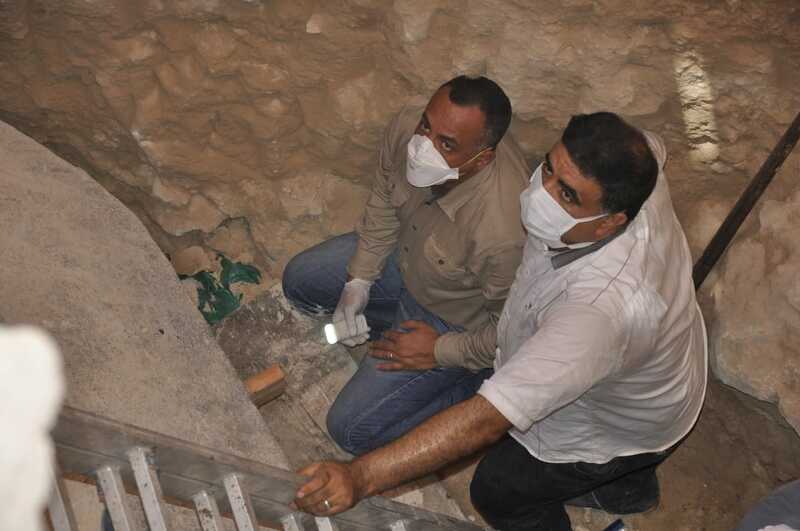 A committee from the Ministry of Antiquities has said that the sarcophagus houses the remains of three warriors who appear to have died during battle. The opening had been delayed for three days to water leaks. Waziri said that the date of the sarcophagus has not yet been determined, although early inspection suggests that it dates to the Ptolemaic (332–30 BC) or Roman (30 BC – 642 CE) eras. Shaaban Abdel-Moneim, an expert on mummies, said that the skull of one of the skeletons bears the mark of an arrow wound. 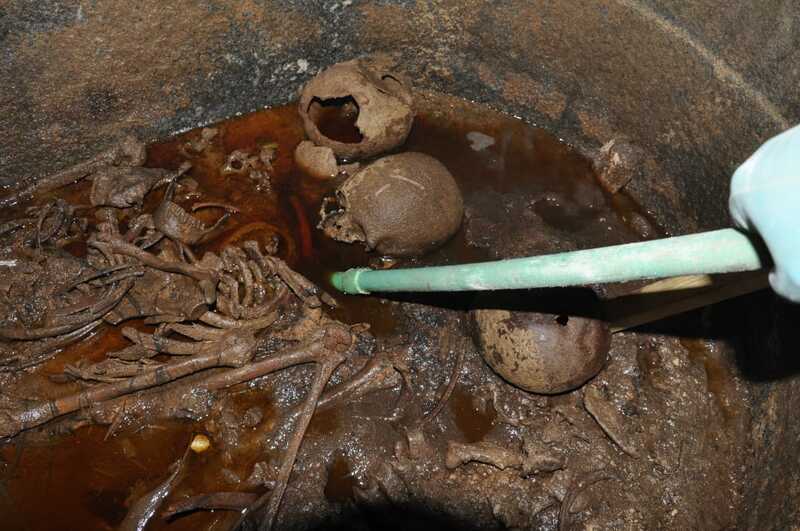 Waziri said that the skeletons and the sarcophagus will be transferred to the antiquities ministry storehouse in Alexandria, where they will undergo restoration and further inspection.